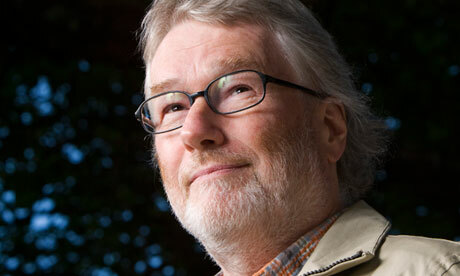 “It was the day my Grandmother exploded” – A Few Words About Iain Banks | "I Prefer Their Old Stuff"
The Wasp Factory, Espedair Street, Complicity, Use Of Weapons, The Player Of Games, Walking On Glass, The Bridge, Feersum Endjinn, Excession, Consider Phlebas... If any of these titles means more to you than just writing down the spine of a book then, like me, you were no doubt hugely saddened to hear that author Iain Banks has announced that he has terminal cancer and is unlikely to live more than another year (read his personal statement). If there’s a better, more intriguing opening to a novel that just demands you carry on reading then I’m yet to read it. This is the opening couple of lines from The Crow Road and although not the first novel of his I read this line says quite a lot about why he quickly became my favourite author. The off beat, sometimes dark humour, the slight surrealness that makes you want to read more to see what the protagonist is talking about. These are the sort of things that made me return again and again, gradually filling an entire shelf with his novels. Sure, I will freely admit that some of his latter day output has not been in the same league as those I mention above, (both The Business and The Steep Approach To Garberdale didn’t do a massive amount for me, although Dead Air and Transition both had echoes of his earlier greatness about them) and even at his peak there were mis-steps, for me Canal Dreams was quite lacklustre and I thought Whit was awful. However as a sci-fi fan there were always the regular outings by his alter ego Iain M Banks that continued to flabbergast with their amazing scope and imagination. His perfectly realised future civilisation The Culture was one he often returned to in his sci-fi novels and in interviews often said it was one in which he would like to live. Disease, poverty, inequality and crime pretty much eradicated and everyone living a seemingly utopian existence, and having evolved past a need for any religion you can see why it would attract the self confessed “evangelical atheist” Banks. Alongside the mind snapping imagination of his sci-fi novels (eg. the expansive battle in Feersum Endjinn where the plain is strewn with gigantic, mountain sized bits of furniture just blew my mind, when I’d finally penetrated the difficult phonetic speak of the main character Bascule!) his straight fiction also never conformed to the more “usual” trappings. The way the three disparate stories in Walking on Glass finally coalesce or the almost steampunk world of The Bridge where you are unsure (as is the protagonist) which world is real and which is fantasy contrasted with the more “straightforward” novels like the rock biopic Espedair Street, the visceral thriller Complicity or the aforementioned story of growing up The Crow Road. Up until now I have not mentioned his debut, and also the first novel of his I read, The Wasp Factory. I remember picking it up on the last summer holiday I went with my family, aged seventeen or eighteen, and from the moment I started reading the first chapter I barely put it down except to eat and drink until I had read the last sentence, approximately twenty four hours! Until this point in my life I had never done this before, and I think I’ve only done it twice since (with Complicity and Cormac McCarthy’s The Road). I was not a hugely prolific reader and never got on with the classics we were supposed to read but I enjoyed reading a lot as long as I stuck to what I liked and with The Wasp Factory I felt I had found someone I really liked! For a debut novel it is astounding, quite short but packing such a punch as to leave you almost breathless. Yet for some reason it is one I have not re-read since then, maybe I am afraid it won’t have the same impact, which of course it won’t, I’ve read a lot since then and what’s more I know the twist now! However as this has no doubt started an Iain Banks retrospective where I will end up re-reading a lot of his novels, it’s already begun actually, I started re-reading Espedair Street the day I read the news as it is one of his I have not read since the first time I read it about twenty odd years ago, then I may well finally re-read the one that started it all. Although I am yet to read his latest fiction novel Stonemouth*, or his latest sci-fi The Hydrogen Sonata, it is now so sad to acknowledge, that aside from his last yet to be published novel The Quarry, there will never be another Iain Banks novel to look forward to. Enjoy what’s left of your life Iain, and thank you for the many years of pleasure I have spent getting lost in your novels! *Update: I have just finished Stonemouth and whether it is due to the fact that I am savouring the last few novels of his we will get to read I don’t know, but I enjoyed it more than I have any of his straight fiction for many a year. *Update 2: 09/06/13 Ah crap, so soon? RIP Iain. This entry was posted on April 6, 2013, 12:10 pm and is filed under Features. You can follow any responses to this entry through RSS 2.0. You can leave a response, or trackback from your own site. The Crow Road and Complicity are fabulous books, as is Consider Phlebas. Some of my very favourite literature has flowed from the pen of Mr Banks. Truly gutted to hear the news. I definitely shall be revisiting his oeuvre.